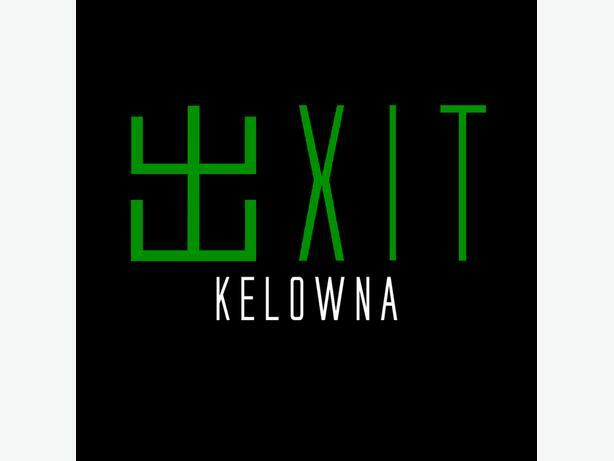 Welcome to EXIT Kelowna! From the moment you step in, your team will be transported into a universe beyond your wildest imagination. There are different ways to explore the world of EXIT. You will discover exciting clues and challenging puzzles to display your marvels and artistry. Come in on your birthday and get a free game with valid ID, can't make it in that day? No problem! You'll get 50% off two days before and two days after! Got an event or a party? We offer large group discounts! 10+ players gets 10% off, 18+ players gets 15% off, and 24+ players gets 20% off!